We are stocked with all the supplies you need, including lighting, tanks and reef accessories. If it’s not in stock, we can order it for you! We have an experienced and friendly staff ready to answer any questions. 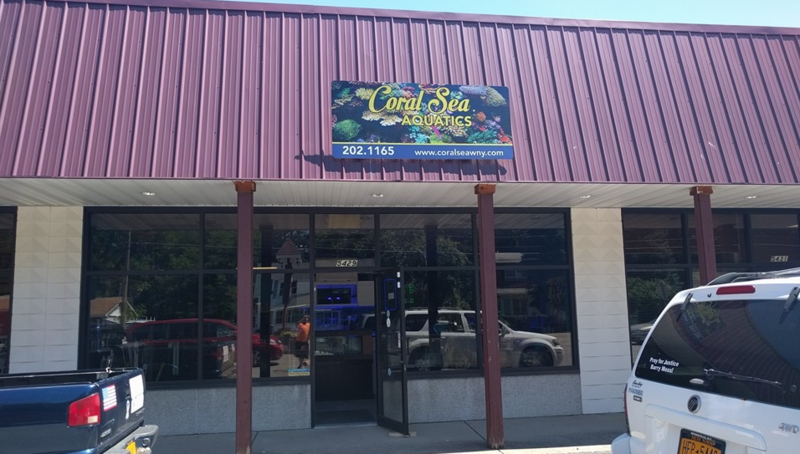 Our Store located in the Southtowns area, 2 miles south of New Era Field. We are open SEVEN days a week with convenient hours, call us, or stop-in today!